From the official website: National Novel Writing Month (NaNoWriMo) is a fun, seat-of-your-pants approach to creative writing. First you fill out a profile here and create the novel you plan on writing by adding the title, genre type, an optional cover, and short synopsis. This is the exciting part! I love this part, seeing as how I’ve done this for the past … oh, eight or nine years! Then you select your region in order to receive updates on local events and gain access to your Regional Lounge in the forums. Easy peezy tea bag squeezy. Speaking of tea, now is also a good time to stock up on coffee, snacks, pens, a new notebook, (mine must be brand-new,) of course … lots of tea! Oh, and guess what! You can earn participation badges after hitting milestones. Badges? I LOVE BADGES! Then it’s time to get inspired and super psyched by reading all the fabulous resources on NaNo’s website, like this 2015 prep guide. And on November 1st, guess what, y’all? Woo-HOO, off you go, fingers flying! On November 30th, you totally conquer the challenge! 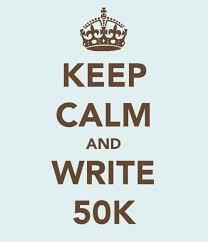 Time to claim your win by validating your 50,000 word novel and scoring this awesome badge, NICE!! So, have I ever conquered NaNoWriMo? Um, well … no. 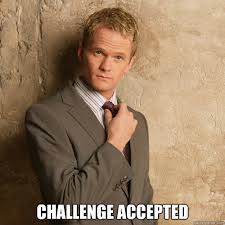 It’s okay if you never have completed the challenge as well, either because you were too intimidated to sign up or you didn’t hit the 50,000 word mark. No worries, mate, November 2015 is a fresh start with a clean slate and another chance to kick some NaNo rear! Here’s a Maryland Nano Group. There’s some NaNo chat going on at the Delaware Writers Network page. 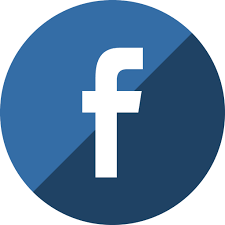 As well as on the West Virginia Writers, Inc. page. 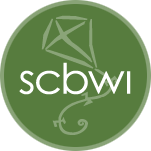 Don’t forget about our own SCBWI MD/DE/WV page, where I’m sure there will be lots of PiBoIdMo and NaNoWriMo chatting going on! Is this your philosophy when it comes to writing? Then here’s some fantastic resources just for you! Randy Ingermanson’s Snowflake Method. I’ve been a huge fan of this for a long, long time. Do I follow all ten steps? No, I’m usually ready to by step seven and I’ve modified this to better suite my needs. Still awesome, though! Kaye Dacus has been doing a killer #FirstDraft60 Challenge on her blog with tons and tons of information and everything you need to know about starting a new novel! She started this in September and it’s worth catching up with. Thanks, Kaye, I’ll be sure to check this out! And here’s some more great articles that I found, courtesy of Google! How to Write a Novel in 30 Days at Write to Done. ETA: Found some more! Lord, I can’t stop. Kat O’Keefe also has some great videos on her Katytastic channel! So who’s in? Let us know in the comments below and if you have any other great links, tips or resources, please share! Until then, let’s get ready to rumble on November 1st! This entry was posted in NaNoWriMo / PiBoldMo, Writing Tips and tagged NaNoWriMo / PiBoldMo, scbwi. Bookmark the permalink. 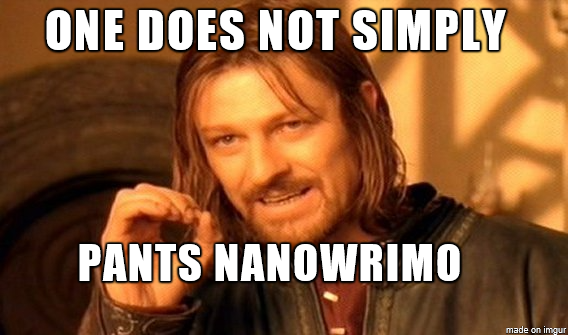 7 Responses to NaNoWriMo … yes or no? Fantastic! I’m Laura Bowers Lit on the NaNo site if you want to buddy up. 🙂 Be sure to let us know how you’re doing! I really wish I had the stamina for this. I’ve done it a couple of times, but it’s not going to happen this year. Good luck to those who are undertaking this crazy feat! Thanks for the link, Kaye! I’ve added it to the post. I’m also using your Writing The Romance Story: The Seven Story Beats posts since I’m venturing into romance for NaNo. Your blog is just bursting with tons of great info. Thanks!